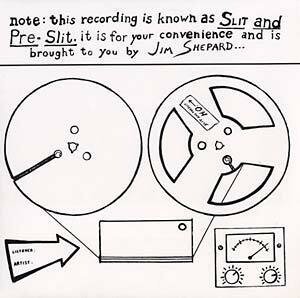 "'Originally released in a vanity pressing of 100 copies, this debut by James Michael Shepard & Vertical Slit has long been a holy grail item on many a collector's list. Legend has it almost 1/4th of the pressing ended up in the hands of luminaries such as Todd Rundgren, John Cale, Robert Fripp & Peter Hamill to name but a few. Musically this stands toe to toe with the cream of Nurse With Wound list prog obscuros AND Acid Archives psych outsiders. Imagine a bridge between Magical Power Makos' self-titled debut LP& The Decaye's Ich Bin Ein Spieglei. Mastered in the furnace of the future so to bask in the luminous glow of the past. Edition of 350.' - Smudge. Legendary 1977 LP of recordings made between August 1974 and January 1977. Very highly recommended!"